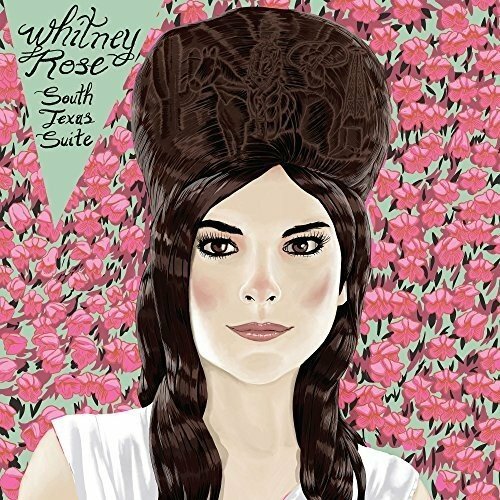 Whitney Rose sprang to prominence with the release of the Raul Malo (Mavericks) produced ‘Heartbreaker of the Year’ in 2015 to widespread critical acclaim including Country Recording of the Year at the prestigious Canadian East Coast Music Awards. Many artists would have rested on their laurels and continued with more of the same but the genesis of Rose’s new EP can be traced to a geographical move she made to Austin, Texas to perform a residency at The Continental Club. This move would prove to be inspirational as Rose soaked up the history and culture of the area and the result is the quite lovely ‘South Texas Suite’. Recorded in just two days, and self-produced, at Dale Watson’s Ameripolitan Studios in Austin ‘South Texas Suite’ features Rose’s excellent touring band with additional support from some of the very best players on the Austin scene including Redd Volkaert (Merle Haggard), Earl Poole Ball (Johnny Cash) and Kevin Smith (Willie Nelson) and the result pleasingly walks the fine line between the country pop sensibilities of today and the more traditional sounds of the genre with which I grew up. Opener ‘Three Minute Love Affair’ is an ode to the Texas dance scene that does the double duty of setting the album up musically and perfectly captures a timeless vibe, right down to the fun Cha Cha Cha ending. Whitney Rose has a light sweet voice which is perfectly suited to the material with the accordion of Michael Guerra prominent. ‘Analog’ follows and matches the gentle swagger of the musical accompaniment, complete with a couple of fine lead guitar breaks, with a modern lyrical distain of all things electronic as Rose concludes that “I don’t want advertisements on my telephone” one of a long list of new inventions that she finds particularly annoying. First single ‘My Boots’ is very much a call for women’s independence, highlighted by that most important item of western clothing, that really gives the band a chance to stretch out with some very fine guitar picking and piano work. So if Whitney Rose stamps her feet you’d better be paying attention. ‘Bluebonnets for My Baby’ turns out to be a highlight of the set as plaintive steel guitar and a more playful fiddle part underpin a lovely vocal that brings comparisons to Patsy Cline and the romantic side of Buddy Holly. Impressively Rose then repeats the trick with the wonderfully reflective ‘Looking Back on Luckenbach’. The EP concludes with a short ‘How ‘Bout a Hand for the Band’ instrumental which seems a fitting way to round things off as the musicians have been superb throughout. ‘South Texas Sweet’ combines a dash of modern lyrical sass with a more traditional sound that results in a very fine little record. Whitney Rose is definitely one to watch. The EP will be released on January 27th via Six Shooter Records / Thirty Tigers and Whitney Rose will be playing dates in the UK this May.